Welcome Home! 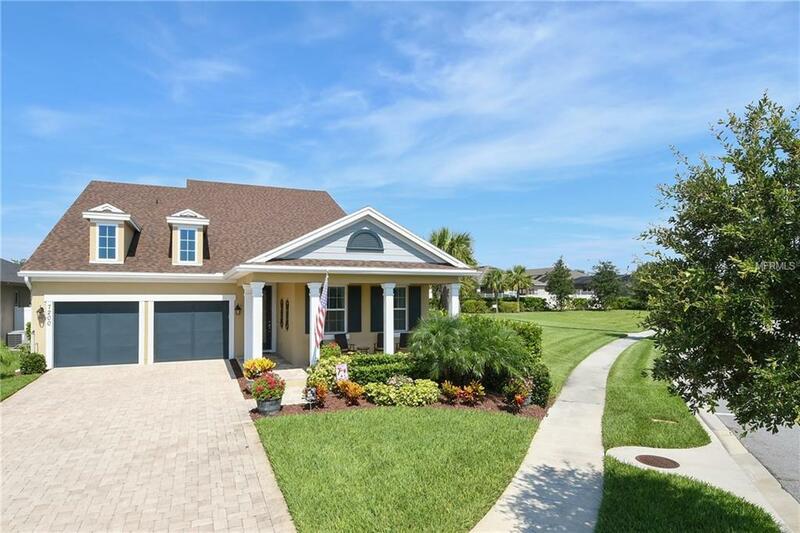 Newly built in 2016 by Ashton Woods Home Builder, situated on a premium homesite with the privacy of no-side neighbors and beautiful dedicated green space, in one of Windermere's newest communities, Ashlin Park. This energy-efficient Newcastle II Model provides 2,894 square feet, 4 bedrooms, 3.5 bathrooms, DUAL Master Suites, and a 2-car garage. The kitchen includes a walk in pantry, large island with breakfast bar, stainless steel appliances and an Induction Range with individually-controlled dual ovens. Three of four bedrooms are located on the ground floor, including the 13'x15' master bedroom suite which also offers an additional 10'x12' sitting area, and beautiful master bathroom. The 19'x15' second master bedroom is situated on the second level, with a large en-suite bathroom. Ashlin Park is conveniently located within approximately 1 mile to shopping and dining at the Lakeside Village Shopping Center. The community on-site amenities include a clubhouse, community pool, and park. Ashlin Park is zoned for the Orange County Schools: Sunset Park Elementary School, Bridgewater Middle School, and the new Windermere High School.